Samuel Clarke is an experienced film and TV composer who has an undeniable energy and passion for film and television composition. 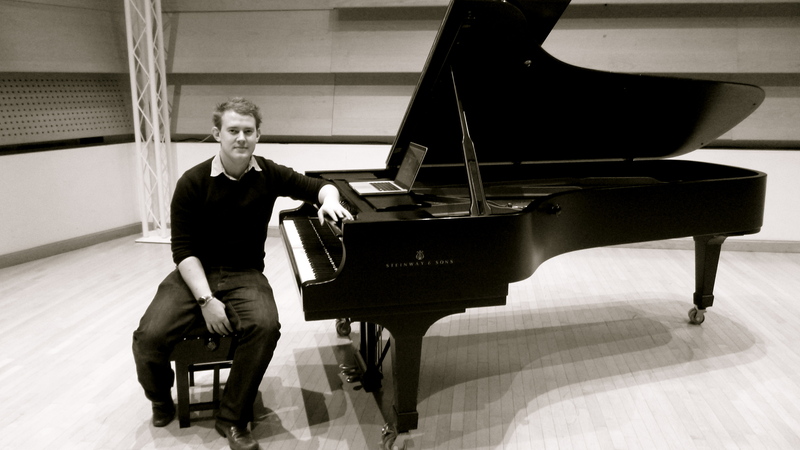 Born and raised in Surrey, England, Samuel started learning the piano from the age of five, along with several years of passion for the music industry, he completed his Masters in ‘Composition for Screen’ at the Royal College of Music in London after specialising in film composition for his Undergraduate Degree in ‘Music Production’ at Leeds College of Music. In 2014 he started Motion Audio Productions providing Bespoke Composition and Sound Design for creative media platforms, which has led to several visits to LA, as well as also being a founding member of the ‘BritSync’ collective championing British music for international markets. Some of his most recent work has included composing, recording and arranging a 70-piece orchestra in London and is currently busy in the studio writing trailer music, pitching for adverts and working on his first concept album. For a 27 year old, Samuel has already earned some impressive credits, including two feature film scores, a collection of short films, a UK TV pilot, an increasing number of placements in Television shows across the globe and two sound installations. He is also fortunate enough to have witnessed and participated in Master Classes with some of his musical hero’s including Hans Zimmer, Harry Gregson-Williams, Ludovic Bource, Marco Beltrami, George Fenton, Rachel Portman, Mel Wesson, Debbie Wiseman and Jasper Kyd. An unstoppable new talent in original music composition in the UK.